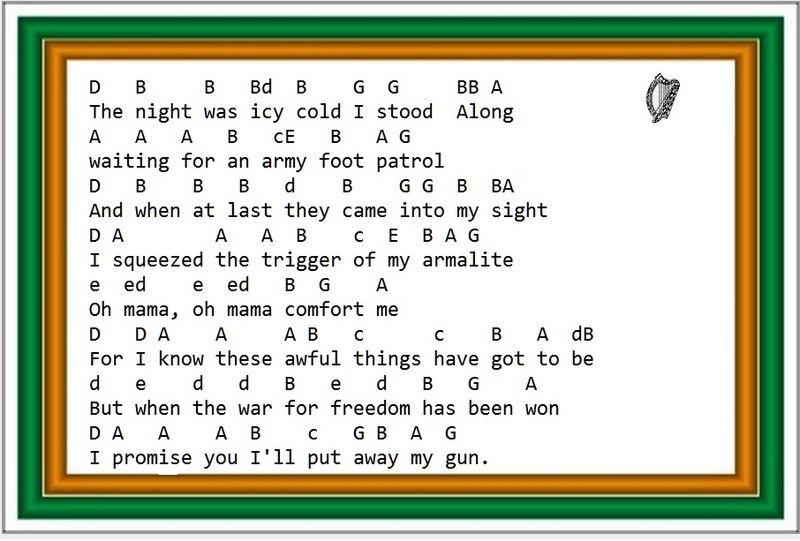 Along with the Tin Whistle Sheet Music I have also included the easy to follow letter notes.An Irish rebel song that was recorded by Kathleen Largey and later by The Wolfe Tones. This is set for the D whistle but can also be played on a C. if you're playing this on an accordion then don't play any sharps or flats. [ no black notes ]. The Sniper's Promise Tin Whistle letter notes for beginners on the D whistle. Here are the letter notes which are suitable for whistle, accordion or banjo.